The actor, who was born in Vancouver, tweeted late Sunday night that he had donated to the building's Save the Rio campaign, which aims to raise money to buy the building from a developer. Ryan Reynolds is the latest actor to declare their support for the Rio Theatre's fundraising campaign. 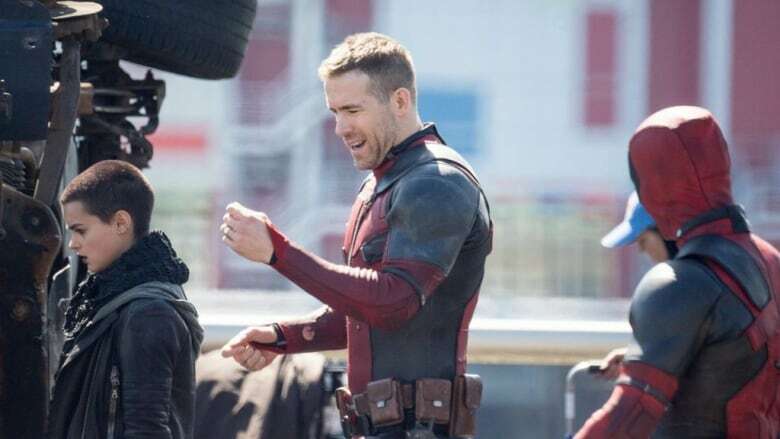 The Deadpool actor, who was born in Vancouver, tweeted late Sunday night that he had donated to the building's Save the Rio campaign, which aims to raise money to buy the building from a developer. Corinne Lea, one of the operators of the Rio, said she received a direct message on Twitter from Reynolds, confirming not just his support but his donation, that same night. "It means a lot to me ... to see people who work in the industry supporting independent theatres," said Lea. "We don't want this to just be a world of multiplex theatres." Lea said she and her business partner made an offer to buy The Rio Theatre in late February. Their offer was accepted, but Lea said they need to raise a $3 million down payment within 60 days, as part of the deal with the developer. "You always have to take it seriously when you've got a deadline and a challenging goal ... but I remain optimistic," she said. "Everywhere I go ... I get hugs, I get high-fives. Every day we are collecting donations at the till." So far, the campaign has raised close to $140,000 out of the $1 million they're hoping to raise in a public online fundraising campaign. Another $2 million will come from private investors. Lea said donors will now be able to be get tax receipts for their donations, through a new partnership with the Hollywood Arts Foundation announced today. Lea wouldn't say exactly how much Reynolds pledged to the campaign but said she is now in talks about possibly hosting a fundraiser event with the actor, although she didn't promise anything. "We were happy with how much he contributed," said Lea. "We are talking about some potential ideas ... perhaps a hometown screening of Deadpool as a fundraiser? We're just looking at ideas at the moment." Other prominent Hollywood names who have shared the petition include Lord of the Rings actor Elijah Wood, Vancouver-born Finn Wolfhard, the 15-year-old star of Stranger Things, and director Kevin Smith, who is hosting a second fundraiser for the theatre after his first event sold out.